We've been enjoying all of the summer weather around here. This time we headed up to the pool at my Grandpa's condo with my Mom, sister, brother, Mason, and friends. Preston is very clearly my child. After some swimming he climbed out to do some tanning. Or warm up. Then he climbed back in to do some floating. A day at the pool wouldn't have been complete without some ice cream on the way home! Or at least that's what the boys thought! Until the sugar rush ended and exhaustion kicked in! Or at least I thought Preston was asleep. Nothing ever wear this one out! I think it was safe to say that we all had a good time. Now I just need a nap. It's amazing how spending all day in the sun really wears you down! 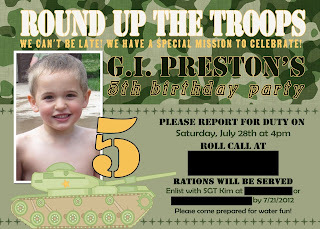 Preston turned five. You only turn five once, so of course we had to celebrate big! He had a fabulous birthday party and we are so grateful to everyone who came! This years theme was army men! Preston is so into them right now so it wasn't a hard choice for him! I loved it! So did he! We ordered his cake from the cake company that did his first and second birthday party cakes and they did such an amazing job! The food table. I totally forgot to get a picture of it while it looked all pretty. So here it is in all it's food being eaten mid party glory! I always go back and forth at his birthday parties between setting up actual events and games and such for the kids and just letting them play. In the end we keep going with just letting them play. There is just too much to do outside to drag them all away from it. We have the pool. The play area. The bounce house. And this year we added a giant blow up water slide that Preston got as his birthday gift from me and Brad! I think it's safe to say that we made the right choice since they were all very busy outside! The pool is always a big hit! Preston's birthday present! It was awesome! The only activity that we always decide to have is the pinata! Preston loves himself some pinata! I always get such a kick out of the kids when the pinata finally does explode! It's a candy free for all and they all have a different technique! Preston likes to push all of the candy he can get to under him and sit on it to hide it! Ha! Preston is so blessed with so many fabulous people in his life and the fact that they want to lavish him with gifts. The gift table was overflowing! And he had so much fun opening all of them. It was pure chaos! Preston and some friends who came to his party! We had an awesome time celebrating! And I know that Preston did too! 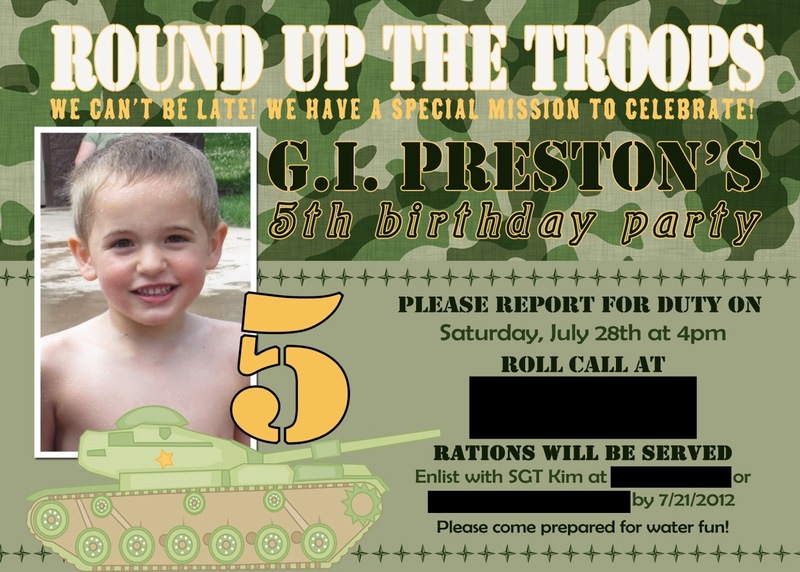 Big thanks to all the friends and family who made Preston's party special!